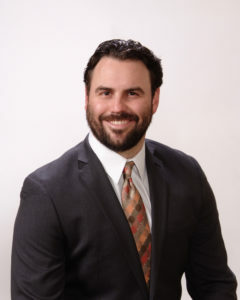 Dr. Bailey grew up in Abilene and graduated from Wylie High School in 2002. He attended Texas Tech University from 2002-2007 where he attained a bachelor’s degree in Kinesiology and Exercise/Sports Sciences and a minor in Health. Throughout college Dr. Bailey worked as a Certified Personal Trainer at a local gym. After college, he moved to Dallas to attend Parker University from 2008-2011 where he received a bachelor’s degree in Health & Wellness as well as a Doctor of Chiropractic. Dr. Bailey is very dedicated to exercising and any physical activities/sports. He is also an avid outdoorsman and spends most of his free time hunting in the mountains, or out on the lake. He also loves traveling with his wife Alyson and children.